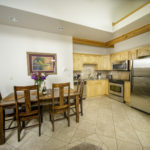 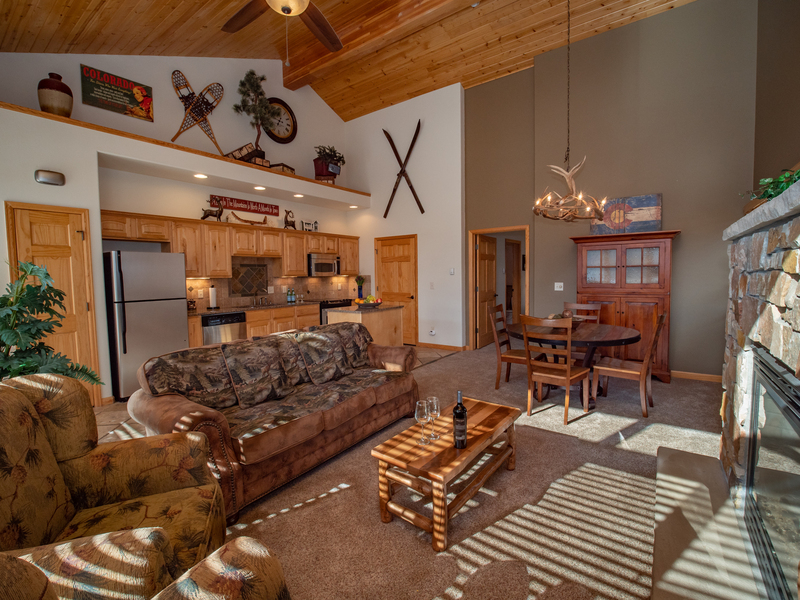 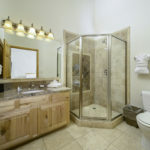 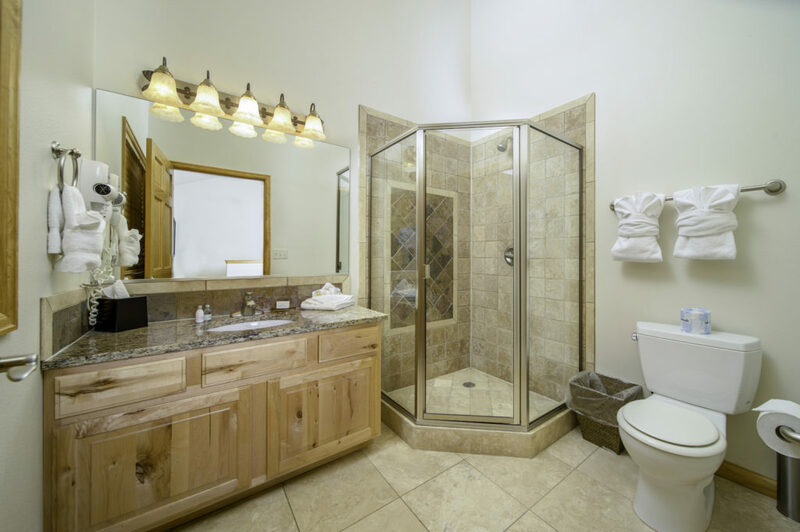 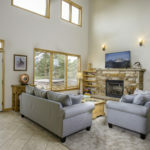 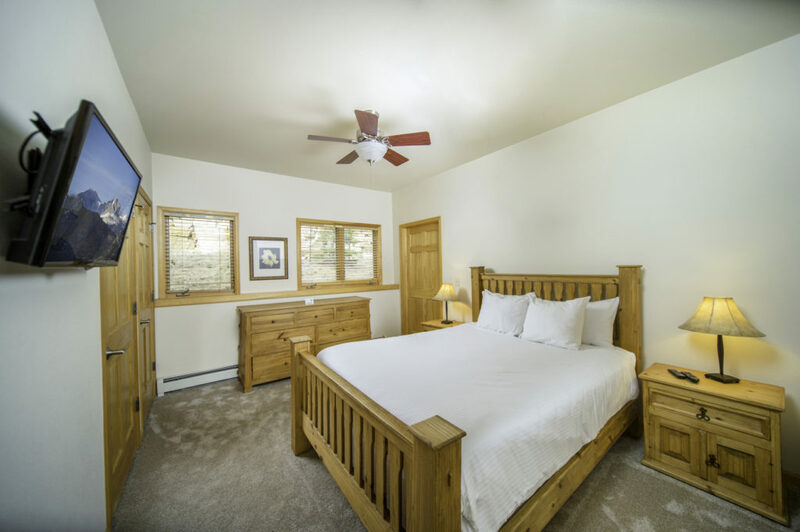 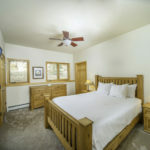 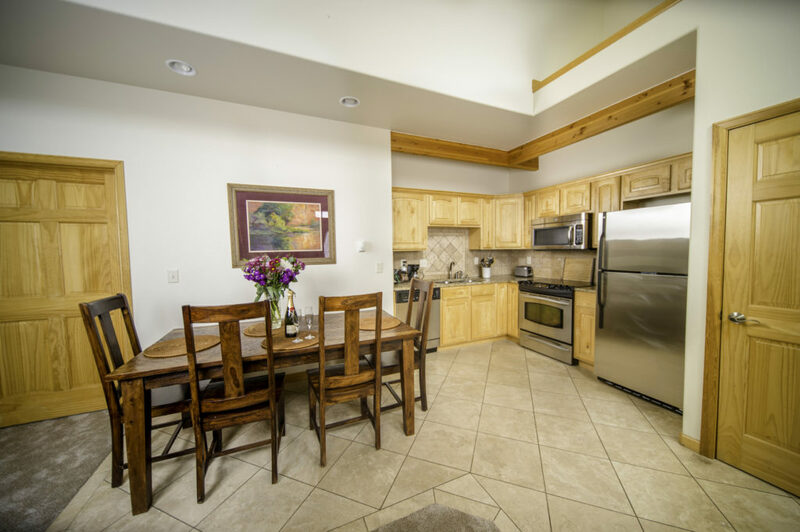 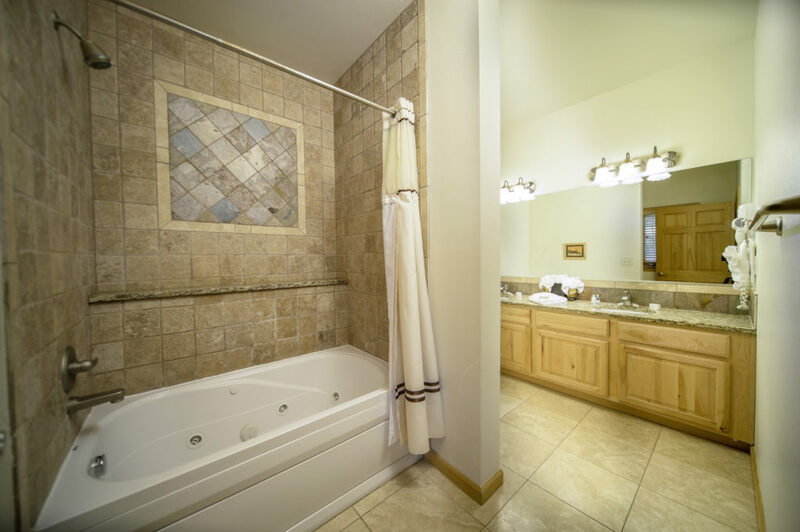 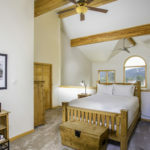 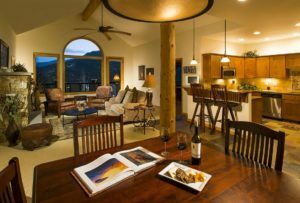 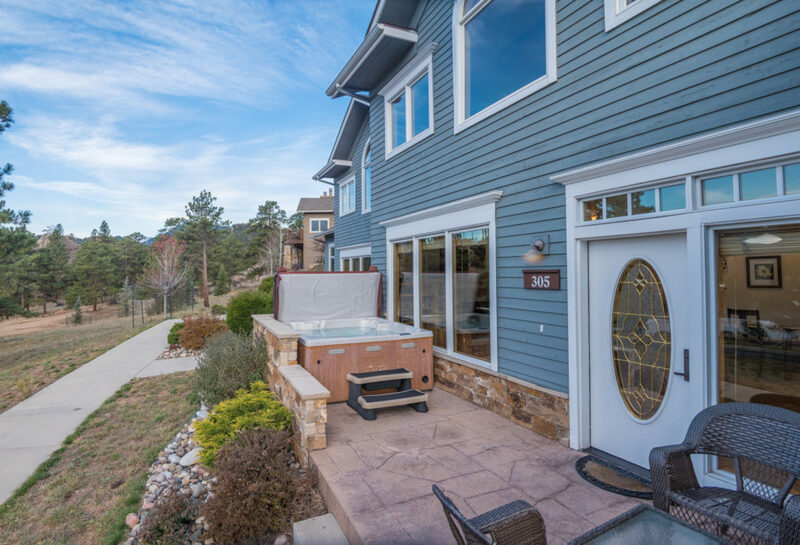 This centrally located, family-friendly condo features a large outdoor hot tub with spectacular views of Rocky Mountain National Park and The Stanley, stylish furnishings, two king beds, and an excellent location near the Cascades Restaurant and main hotel. 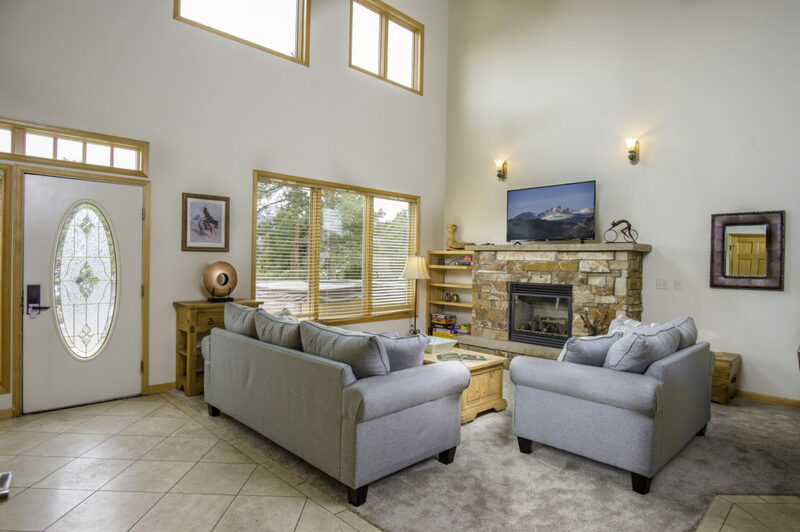 The contemporary yet inviting living room offers vaulted ceilings, a granite fireplace, updated furnishings and a large flat screen television with Netflix and Roku. 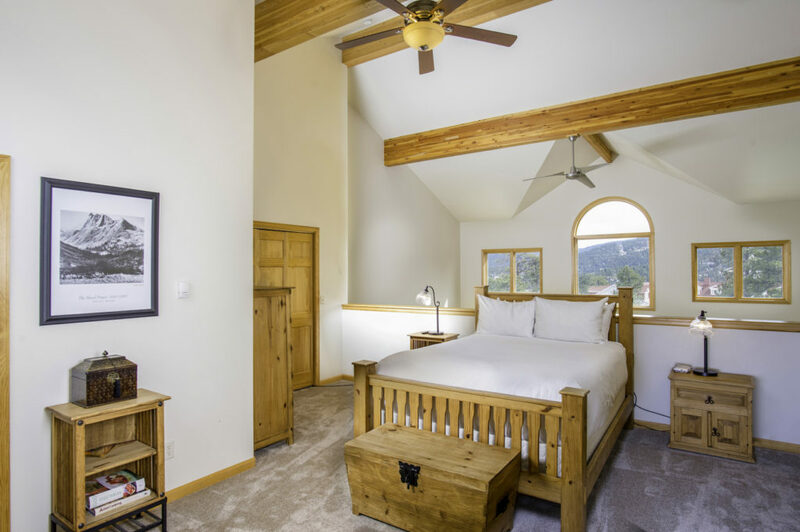 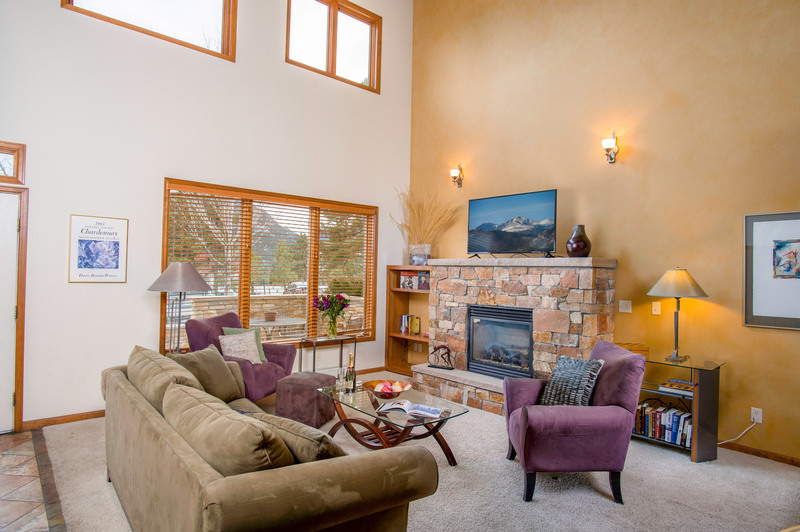 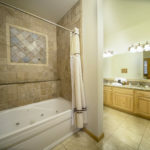 The home also features an indoor Jacuzzi tub, convenient parking, a fully-stocked kitchen, colorful western decor, memory foam sleeper sofa, abundant natural light and plenty of space for guests to put their feet up after a long day’s hike.